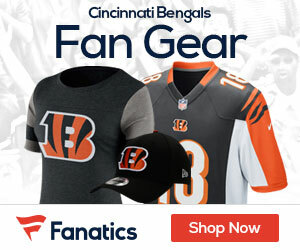 « Enjoy Some Of The Hottest Bengals Fans In The Nation! I’m going to start this feature with an old friend. 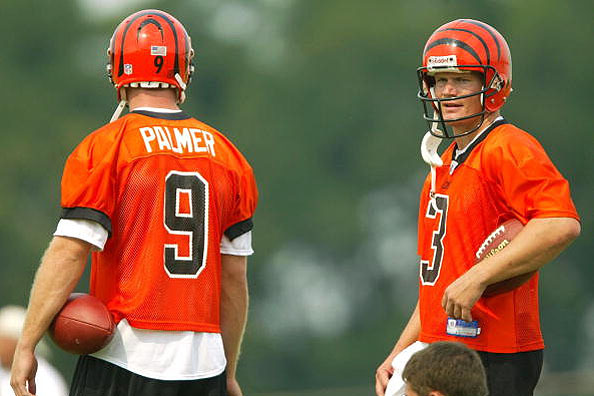 Don’t laugh at me for saying this, but one of the Cincinnati Bengals first calls Saturday (when they can make contact but not agree to terms) should go to pretty-much-retired quarterback Jon Kitna. No offense to the two players I’m about to mention but Andy Dalton’s backups/clipboard holders/player mentors in his three years in the NFL have been Bruce Gradkowski and Josh Johnson. I’ll repeat: Bruce Gradkowski and Josh Johnson. Yes, his offensive coordinator for the last three years was a very successful quarterback in the arena league and that goes a long way, but nothing is better for a young player than learning from veterans who have been there and can help the young lad find his way. With Dalton heading into year four as a starter, it may be too late to try the mentorship program, but isn’t it worth a shot? Sorry to the nay-sayers but Dalton is the Bengals quarterback and I’d be surprised if the team doesn’t extend him before the start of the 2014 season. If that happens and Dalton is officially declared the quarterback of the present and future, who better than Kitna (who at age 41, no longer desires to be a starter like he did when he left the team nearly a decade ago). The tough part would be getting Kitna to come aboard. By all accounts, he is happily retired and enjoying his work as a teacher and football coach at Lincoln High School in Tacoma, Wash. The continuity of having Marvin Lewis at the helm still should help, but if the paycheck and old friends aren’t enough to coax Kitna back to Cincinnati, the team should at least reach out to him to consult Dalton and work with him during this summer while his school obligations aren’t as demanding. Andy Dalton isn’t the problem some paint him to be, but anything that can help a young quarterback to develop is an avenue the team should investigate. Sure, that’s a weak start to a free agent wish list but Kitna had to be mentioned. It gets better. We promise. Like BengalsGab on Facebook by clicking here. You can also find BengalsGab on Twitter by clicking here.